Get me to the church on the Moon on time. Get me to the church on the Moon on time. 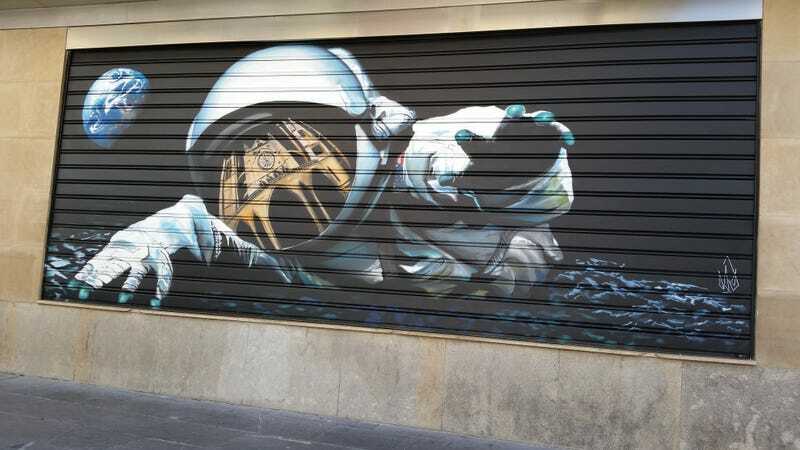 Mural at Luna 9 in León, Spain. Photo by amateur photography by michel/Flickr.